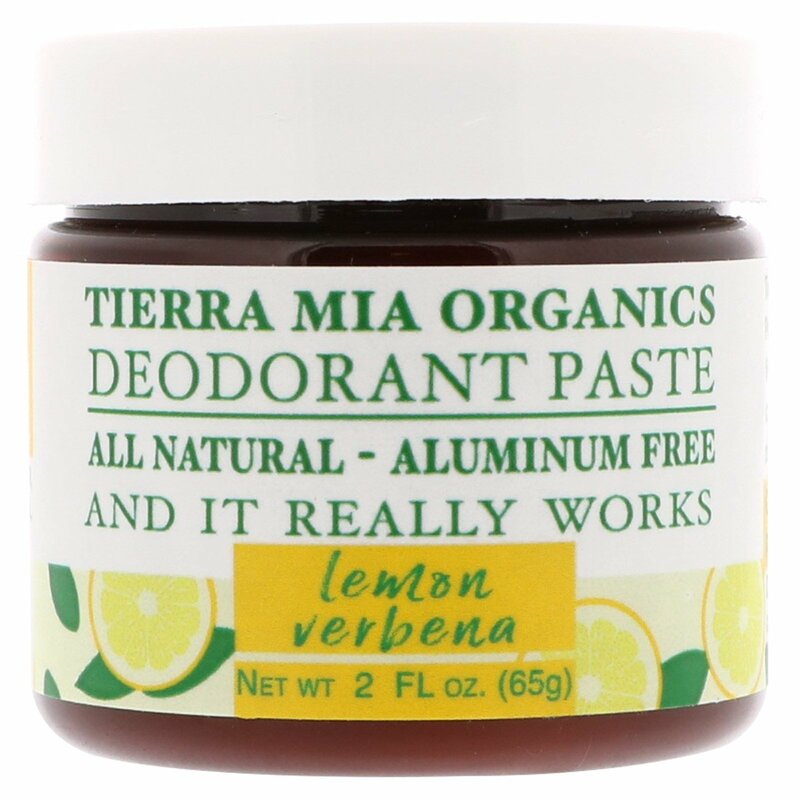 Tierra Mia Organics Aluminum Free - Natural Deodorant Paste is the perfect alternative to commercial chemical-filled deodorants. With fewer than 6 natural ingredients, you can feel confident that this deodorant is safe. Did we mention it really works? 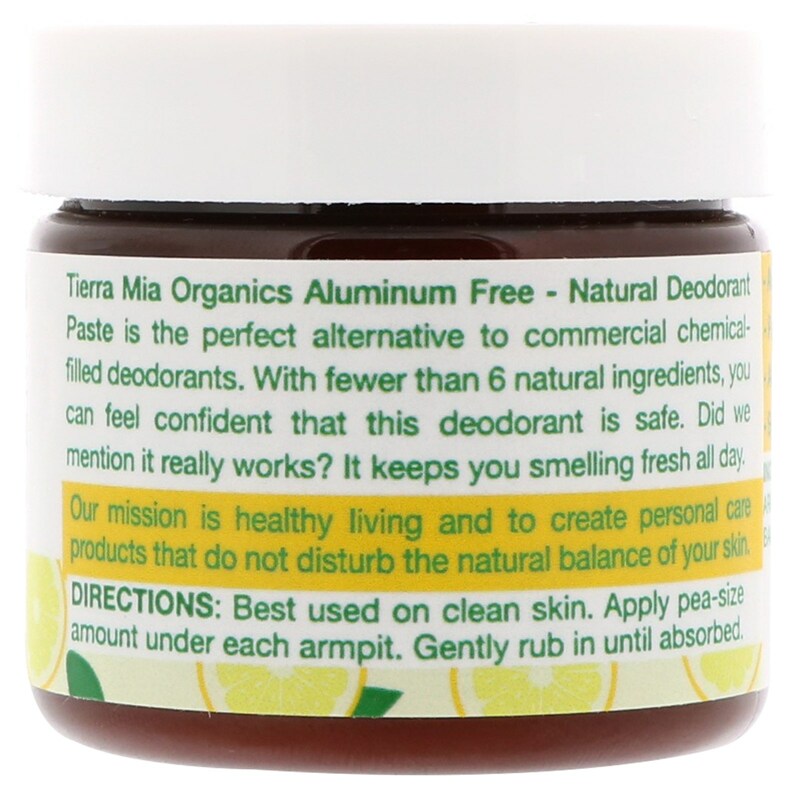 It keeps you smelling fresh all day. Best used on clean skin. Apply pea-size amount under each armpit. Gently rub in until absorbed. 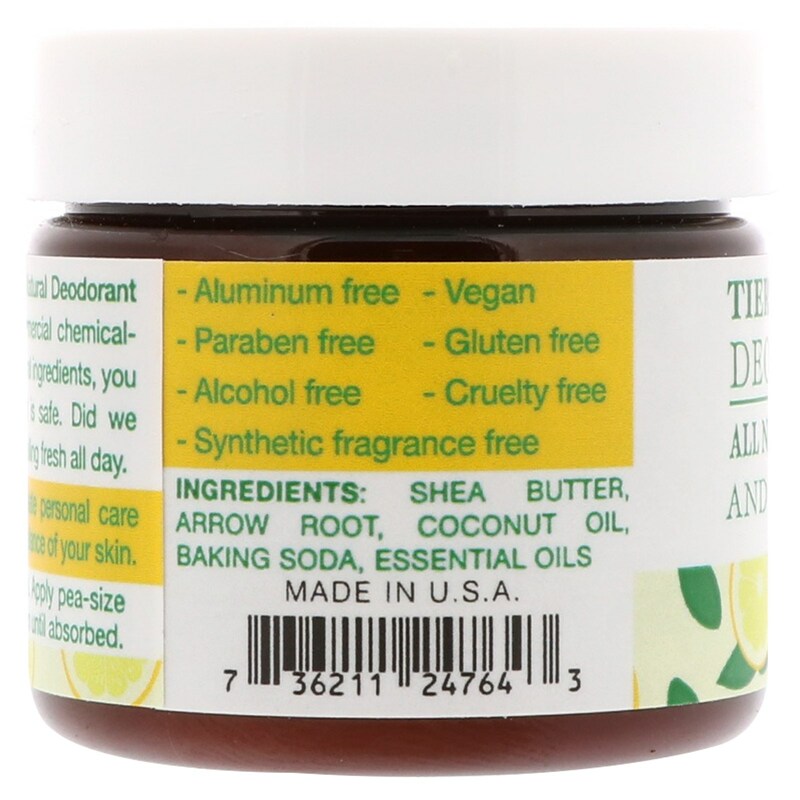 Shea butter, arrow root, coconut oil, baking soda, essential oils.